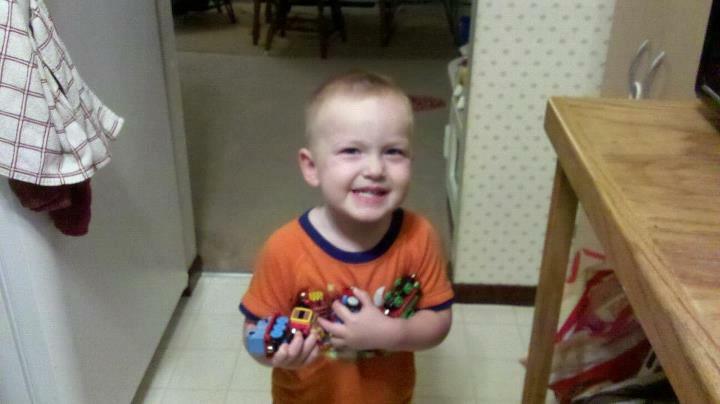 On Sunday, August 26th, two-and-a-half year old David Russell Gorham drowned at a picnic. His father Nick and several others did what they could to revive him- they found a faint heart beat, but he was not breathing. As the hours progressed, David's organs were shutting down and his brain activity demonstrated severe damage. It was decided by the doctors that he wasn't going to make it. Even in the midst of their struggles, parents Kimber and Nick Gorham have been praying that this tragedy draws others closer to our Heavenly Father, and are even willing to donate their baby boy's organs to save another life. David somehow knew he was going to be with Jesus. He called every single family member the night before to say "I love you" and to quote Psalm 23 ("The Lord is my shepherd, I shall not want."). At two years old, he was brilliant, and with his passing brings forth purpose. David is on life support for the moment, but we know his soul is with Jesus who he loved so much. Please consider donating funds to parents Kimber and Nick Gorham and baby brother Josiah, so the family can cover their medical expenses and funeral costs and have one less thing to worry about during this devastating time. Thank you!! Read the news story as told by fox 8 news site.